 Where builders and homeowners come together. Why Join Kitsap Building Association? The Kitsap Building Association is an association of professional builders, subcontractors, service providers and purveyors representing the construction industry. The association provides information, education, and services that promote the health and welfare of the construction industry. To remain a proactive and positive influence in the legislative, regulatory, and civic arenas as we advocate for the building industry. To foster public awareness of the contribution the construction industry makes to our community. To encourage ethical conduct, good business practices, and professionalism among our members. To be recognized as an organization that promotes to its members and the community as a whole the importance of responsible management of natural resources.